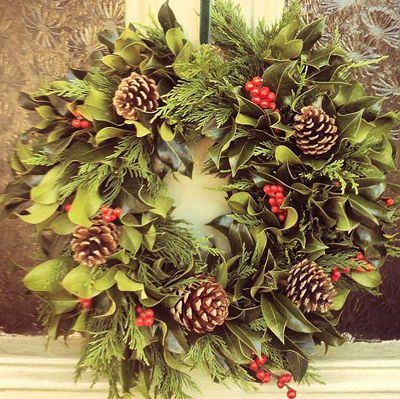 Would you like to create a unique, gorgeous Christmas wreath for your front door this year? Following their huge popularity last year Truro Arts will once again be running wreath making workshops this December. Local florist Loulabel will guide you through every step to make and decorate a stunning wreath, be it a traditional beauty or a modern masterpiece. Lou is a local floral business owner and artisan with plenty of years experience in making wreaths and other floral arrangements. If you would like to see more of Loulabel’s work please visit her website by clicking here. All materials are provided and the cost is just £25 per person, which means you can learn a new skill, have fun and take home a wonderful natural Christmas wreath for the same price that you would normally pay to buy one from a florist.